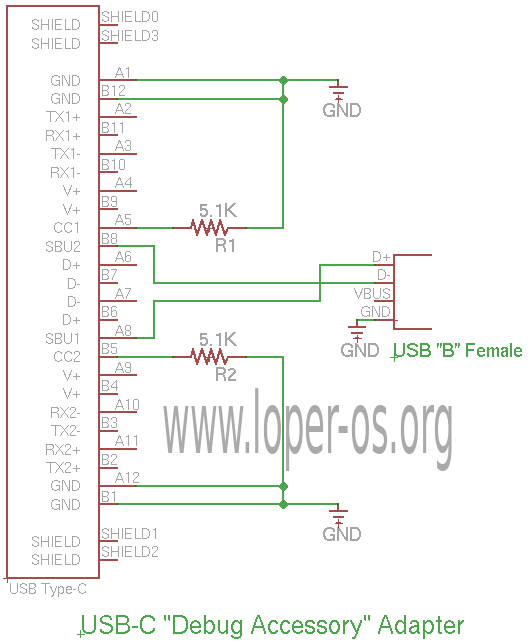 Loper OS » The secret of the “Debug Accessory Mode” Adapter. …and /dev/ttyUSB0 … 5 , the UARTs of the RK3399 chip, appear. Theoretically, there are also Google-particular “vendor” endpoints. But we will look at these later. The unfortunate bit is that the output is, evidently, molested between leaving the RK3399 and emerging from the USB-C debug controller, by the machine’s embedded controller Cr50 chip: observe, the typical reset output of Rockchip (e.g., DDR init info) is not seen in the spew. Therefore the “debug accessory” cable can be used for kernel debugging, but not for bootloader debugging. Unless we diddle the EC controller firmware, to force it to relay UART output immediately from power-on. Edit: Read here re: the USB endpoints. This entry was written by Stanislav , posted on Thursday June 07 2018 , filed under Cold Air, Hardware, NonLoper, Reversing, SoftwareSucks . Bookmark the permalink . Post a comment below or leave a trackback: Trackback URL. 47 xor 44 = ?